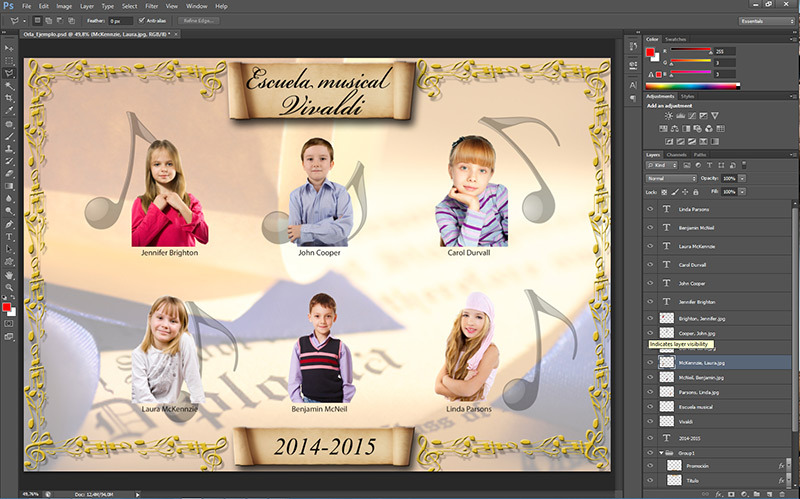 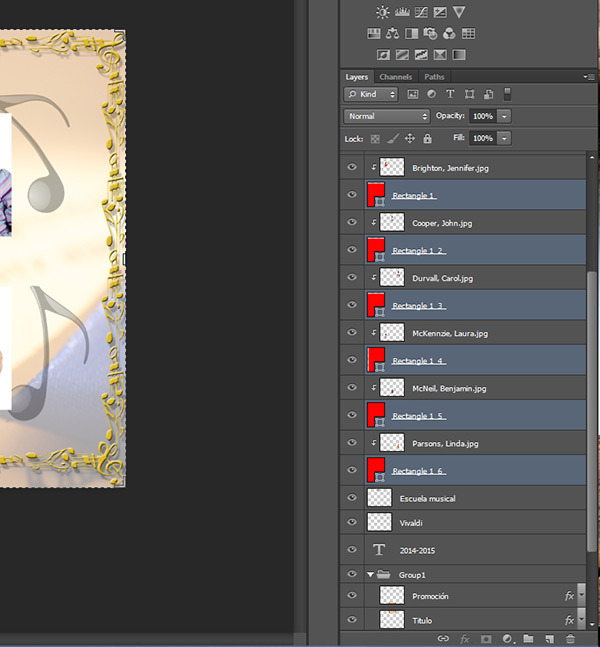 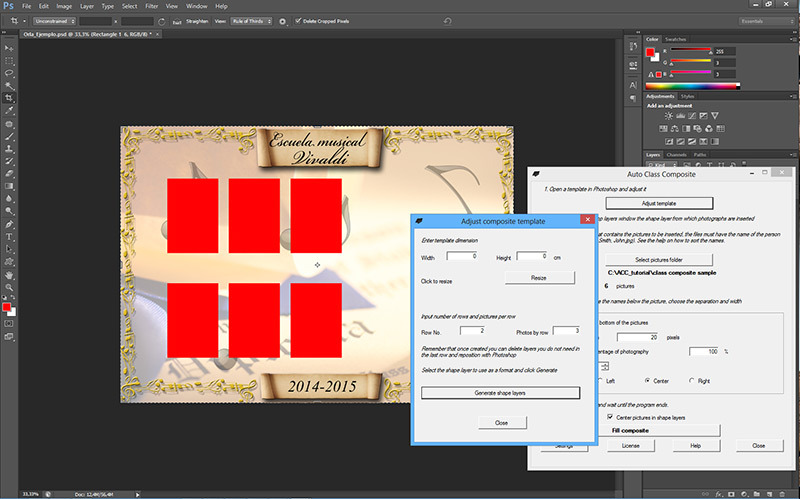 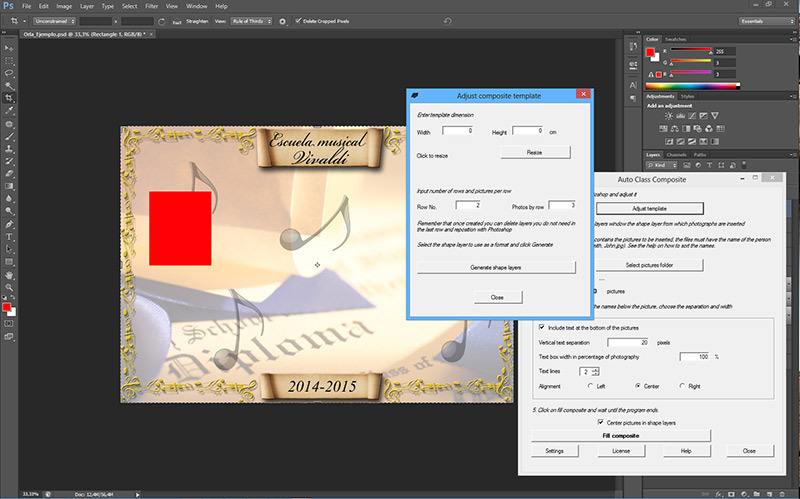 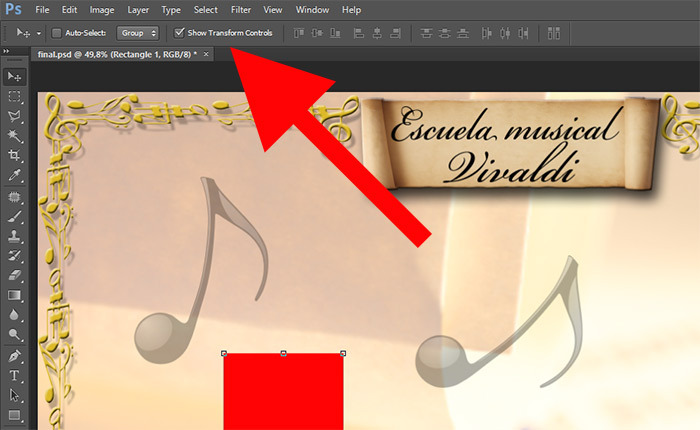 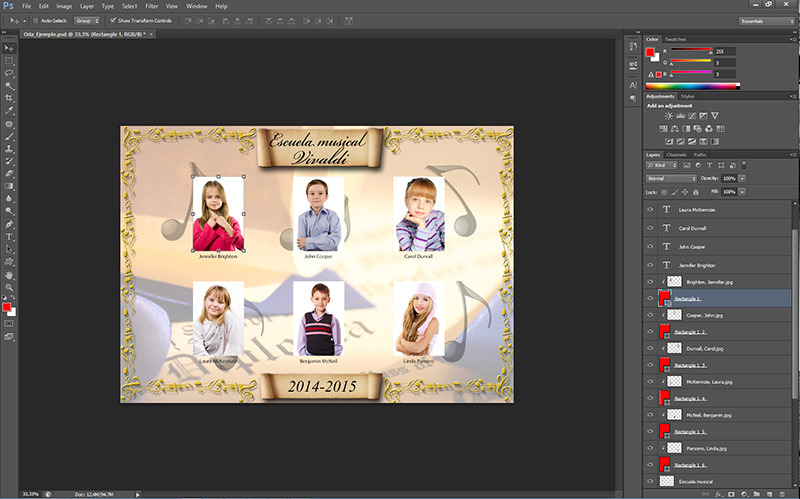 CREATING A CLASS COMPOSITE WITH CUT OUT PICTURES (REMOVING THE BACKGROUND). 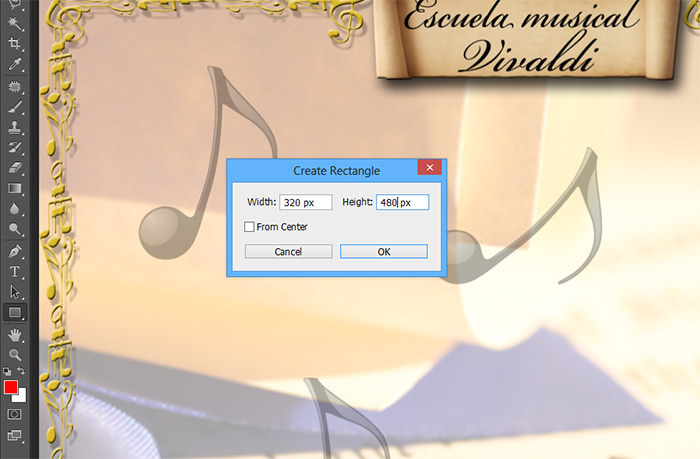 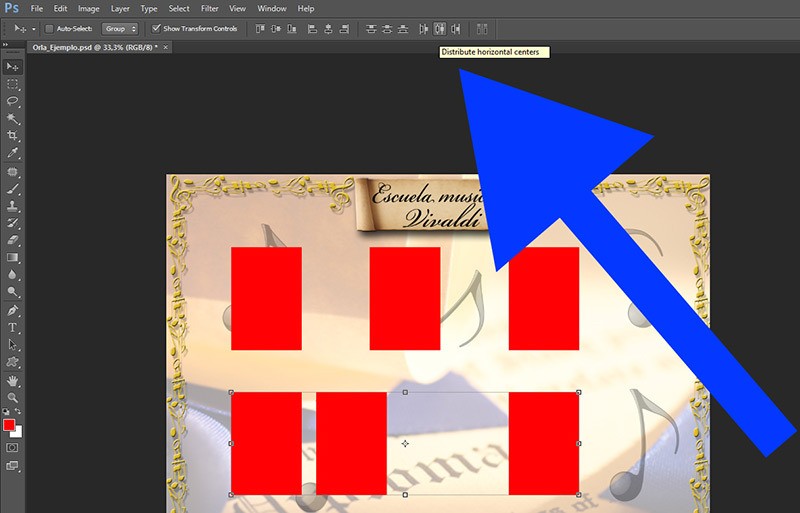 Create a shape layer, this shape layer should have the same aspect ratio of your pictures. 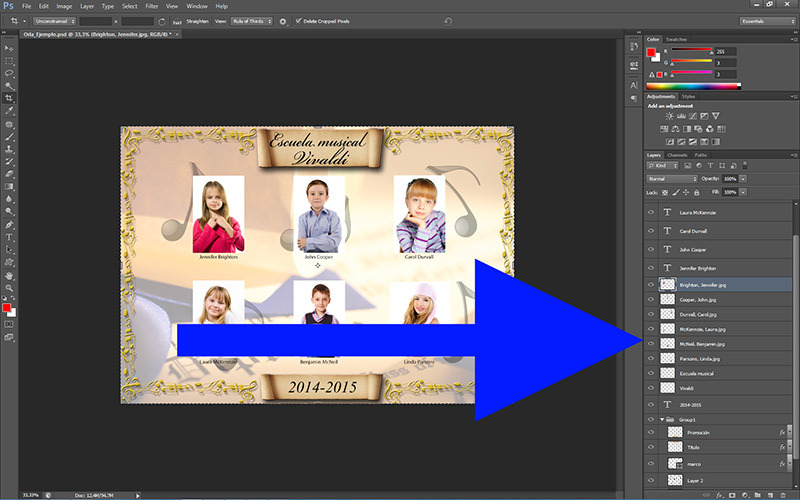 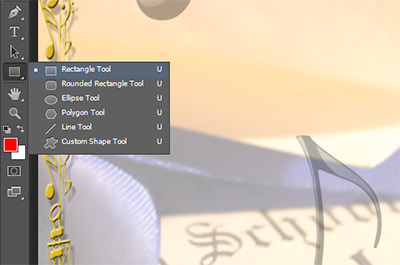 Now use Auto Class Composite to create copies of this shape layer for all your pictures, click at Adjust template and input the number of rows and columns you need.